The Port Canaveral Authority announced that the new Dave Nisbet Road realignment will be completed Wednesday evening, allowing the road to be open to the public on Thursday morning, August 22nd, 2013. The Authority, however, appeals to people with a request to remove all off-premises signs, which were allowed during the recontruction to help visitors and customers better find their way to the Cove and other areas, no later than 5pm on the Wednesday afternoon. Any remaining signs after Wednesday in the right of ways or on the fences will be removed and disposed by the contractor or Port staff. The Dave Nisbet Road was closed on May 20, 2013, due to the construction of a new state-of-the-art Welcome Center. It will be the centerpiece of an extensive redevelopment of The Cove harborside dining and retail area, as well as a community hub, repository of local history, visitor magnet and gateway to the region’s attractions. 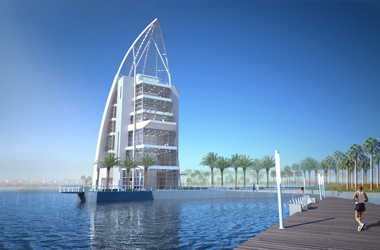 The Port Canaveral Welcome Center is just the beginning of an extensive Canaveral Port Authority project to redevelop The Cove harborside marketplace area and bring significant benefits to local businesses and Brevard County’s overall economy. NOAA Fisheries announced the opening of the 2013 commercial and the recreational red snapper fishing season (also known as the red snapper “mini-season” or “sport season”) in South Atlantic federal waters. The recreational fishing season will open for one weekend made up of Friday, Saturday, and Sunday. 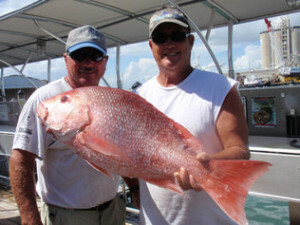 The recreational red snapper season opens at 12:01 a.m., local time, on August 23, 2013, and closes at 12:01 a.m., local time, on August 26 , 2013. During the open recreational season, the bag limit is one fish per person per day and there is no minimum size limit for red snapper. NOAA Fisheries may change the commercial and recreational season dates if severe weather conditions (like a hurricane or tropical storm) exist. If severe weather conditions exist, NOAA Fisheries will announce via NOAA Weather Radio and a Fishery Bulletin any change in the red snapper fishing seasons. After the conclusion of the recreational fishing season, red snapper may not be harvested or possessed under the bag limit in federal waters of the South Atlantic.